Christmas Latch Hook Decor Kits come in many styles and designs. This article will feature the best Christmas latch hook rug and pillow kits as well as a search option so you can search the huge selection of Christmas latch hook decor kits. Rugs and pillows are always a great and easy way to decorate for Christmas. Plus, during the winter months, you want to have a soft and fluffy rug to put your feet on when you are getting out of bed or standing in front of the sink. The rugs also make amazing wall hangings as well. Christmas latch hook pillows add even more ways to include this fabulous craft into your holiday decor. Soft, dimensional, easy to display anywhere in the home where you want to add another accent to your Christmas decoration ideas. MCG Textiles Santa and Tree Latch Hook Rug KitCheck PriceThis kit comes with a design instruction book with full color graph, canvas, yarn (pre-cut), and the finished size is 26×36. You will need a latch hook and rug binding to complete this project. This classic Santa is climbing a Christmas tree and you can display this whimsical design anywhere during the holidays. Rugs are always a great decorative touch on the floor by the bed, in front of the sink, or anywhere you would like to have a soft place to rest your feet. Consider using these rugs on walls as well as amazing art pieces you are sure to enjoy. This rug would be a fabulous entry decorative accent or hang it on the door of a child’s room to add interest and whimsy for anyone entering or passing by. 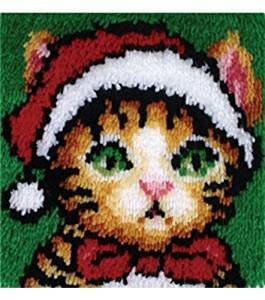 Wonderart Latch Hook Kit 12″Check PriceIsn’t this Christmas kitty just precious! Adorable cat design with a Christmas theme so you can add this decorative accent to any room during Christmas. Anyone who loves cats will adore this traditional colored Christmas accent. Cat lovers will be excited to see such a thoughtful gift waiting under the tree for them on Christmas morning. Hand crafted gifts are always the most cherished but when you take the time to find just the right design they are treasured even more. Or perhaps you prefer to give the kit as a gift before the project is complete. 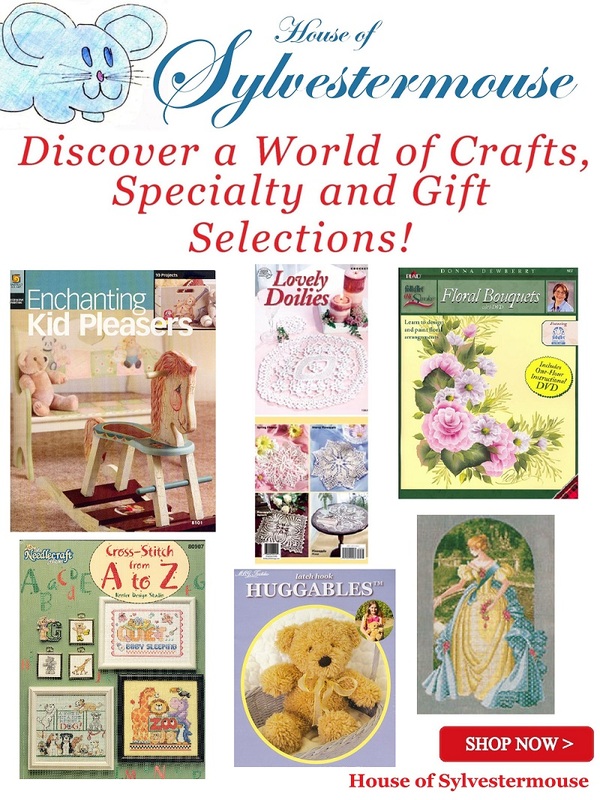 Latch hook kits make great gifts for kids who are just learning to make crafts. It is really exciting to watch a pattern as cute as this kitten come to life. Like most latch hook kits, this kit comes with pre-cut yarn is just the right length and is ready to use. These 3 bears would make a great gift when given either as a kit or after you have completed the project on included canvas (blue lined mesh). No doubt, these Three Christmas Bears in a beautiful holiday motif will delight all ages. The teddy bear has long been a favorite gift for children of all ages at Christmas time and this is a great decorative kit you will love to have in your home any time of the year and especially for the holidays. Latch Hook kits are not limited to rugs or wall hangings. There are also pillow kits available. We all know pillows are warm and inviting any time of the year. I am sure this is going to be a favorite as a decorative accent pillow for Christmas. Of course, it makes a great gift for anyone who loves bears. Children especially love the bear styles for their rooms. You can create this pillow from the kit or give the kit as a gift for anyone who loves to create latch hook projects. MCG Textiles Ho Ho Santa Latch Hook Pillow KitCheck PriceCreate this adorable Christmas accent pillow from a kit with the mesh and yarn included. Who wouldn’t love to have a Santa pillow? This is so lively and amazing it will fit into modern as well as classic decorating styles with ease. The cheerful Santa is a great way to add to your decorating ideas and will be fabulous on a chair or bed. Pillows make great decorating accents anytime of the year. So easy and fun to switch out from time to time, season to season, you are sure to find you love using pillows in your home so it is easy to change decor anytime you want without much work. 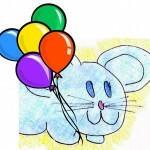 Pillows are easy to store, can be moved from room to room, and are always a welcome gift for children and adults alike. Unless otherwise specified you generally will not receive the tool in a kit. Check each kit for the included accessories so you can see if you will need additional items (such as the latch hook tool, frames, or binding). If you need these additional items you can find them by clicking on the links below. Click to See More Christmas Latch Hook Kits ~ Many of these only have 1 available. Stocking Kits come in a wide range of designs including the adorable snowflake design shown in the article. You are going to find cute, traditional, and unique designs in kits which can be completed using the this technique.